Begin creating your own natural skin care range with Hippy Heaven Natural Beauty's 100% vegan, certified cruelty free, base products combined with eco-friendly professional packaging! Butter, lotion, gel & fabulous jars & bottles for your creations! Save money by making your own quality products, or thrill family and friends with unique gifts, or even take the first step towards your own natural skin care business! Receive three base products - totaling 2.5 litres, to create a huge range of facial, body and spa products, along with 22 eco-friendly cosmetic packaging jars and bottles for a professional finish to your range! Facial and Body Wash Base - Perfect for bubble bath, shower gels, foaming facial washes, exfoliating gels and more! Mix with lotion or butter to create foaming cleansing milks and creams too! Gel remains fresh to use at least one year from purchase. Packaged in an eco-friendly amber PET bottle with watertight black lid and additional pump. Face and Body Lotion Base - Perfect for creating light facial creams and lotions, hand lotions, after sun milks, baby lotions and all-over body moisturisers! Enriched with Coconut and Almond Oil, Face and Body Lotion will leave the skin feeling soft, refreshed and soothed. Easily absorbed and non-greasy, while providing much needed moisture. Lotion remains fresh to use one year from purchase. Packaged in an eco-friendly amber PET container. 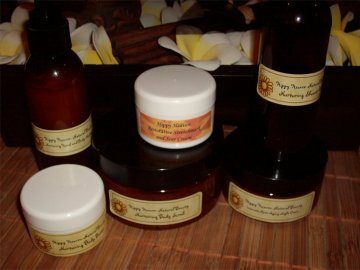 Face and Body Butter Base - Perfect for scented body butters, foot balms, dry skin creams, exfoliating creams and scrubs, facial night creams, moisturisers for mature or damaged skin and much more! A rich, luxurious treat for the skin, with a base of coconut oil, shea butter, apricot kernel oil and natural vitamin E. These ingredients combine to revitalise and deeply moisturise the skin while cooling, soothing and smoothing wrinkles. Butter remains fresh to use one year from purchase. Packaged in an eco-friendly amber PET jar with caska seal and black lid. Thats 22 pieces of professional packaging in total! We are also happy to accomodate your requirements and provide packaging in different variations for you - just ask!